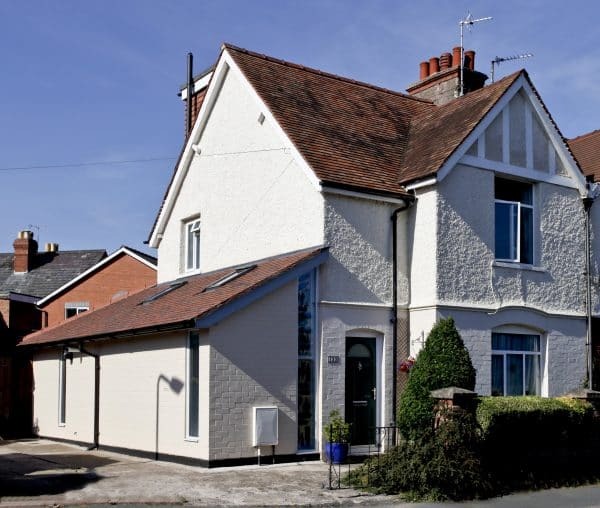 Our clients, Nicky and Tim and their children, live in a 1950s semi-detached house near the centre of Hereford. 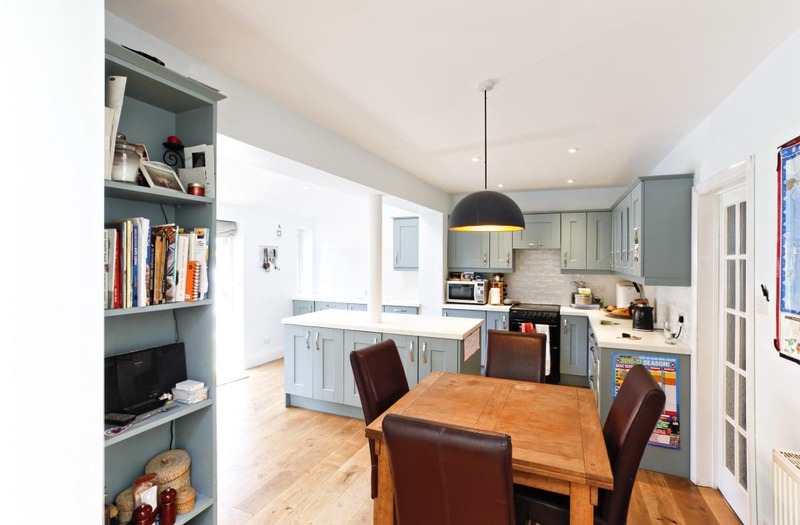 They love where they live, but wanted to build an extension that would enable them to demolish an old garage that acted as their utility room, create a bigger, open plan kitchen to replace the small original room and have more storage space. 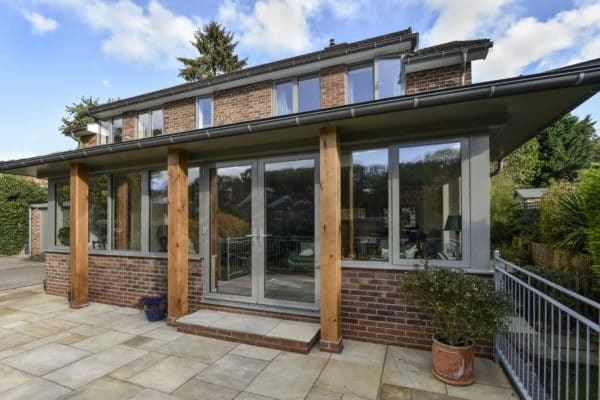 We designed an L-shaped extension that wraps around two sides of the house. 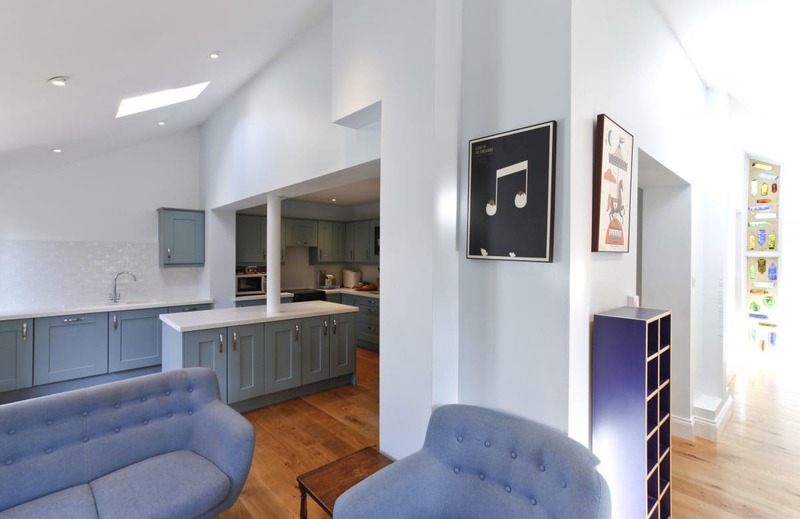 It has created an open plan kitchen, living and dining area and incorporates utility and storage space. The solution enables our clients to spend more time together as a family and entertain friends more easily. 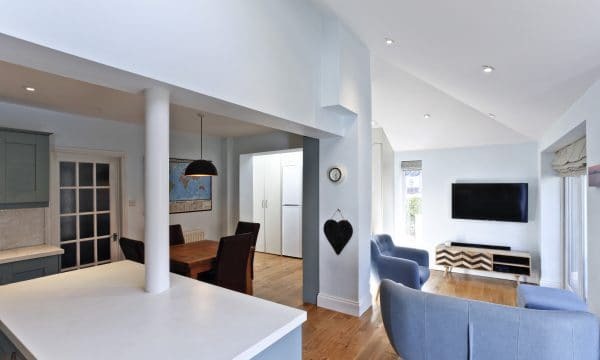 Our clients, Nicky and Tim, have made their home in Hereford in a 1950s semi-detached house near the city centre. 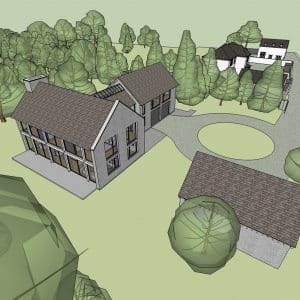 Three concerns initially led them to seek the services of an architect. The first was a need to solve the problem of an ageing, leaking garage that contained asbestos. The garage housed their utility room, but they were keen to make this function part of the main house and demolish the garage. They also wanted to have a larger, more open plan kitchen to replace the small and isolated original space. Finally, they wanted to create more storage space for their possessions. 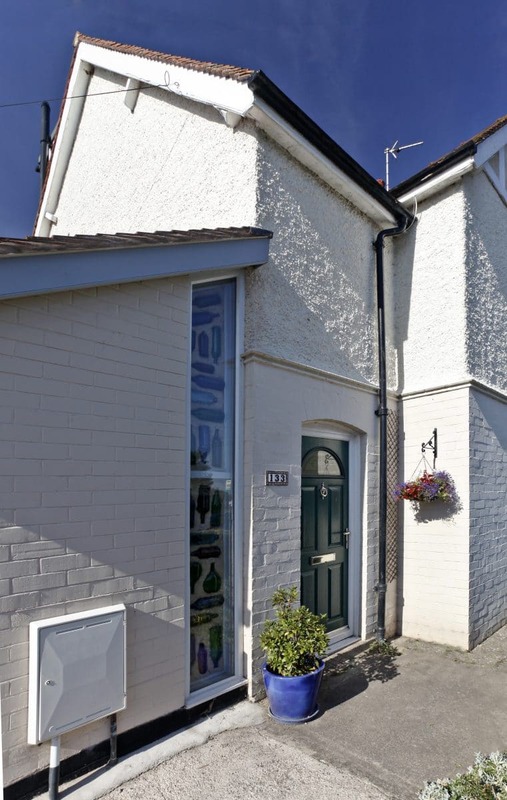 Nicky and Tim knew that an extension would enable them to realise their plans but were unsure what the best solution or design would be, so they sought the help of Communion Architects. 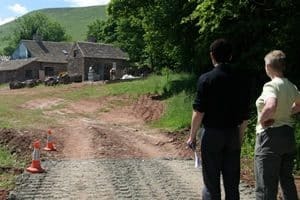 We met with Lucy regularly to fine tune the design and look at it in terms of cost implications, planning implications and get a sense of where things were going, especially when we came to look at the more specific finishing touches. It was a collaborative process. 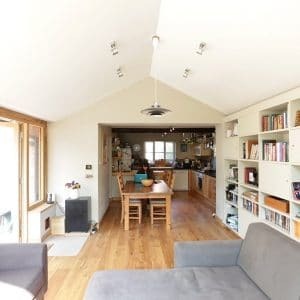 The solution was to create a small, single storey L-shaped extension along two sides of the house and to reconfigure the existing internal space. This has created a large, open plan living space that houses a kitchen area, a dining area and a seating area. One wing of the new extension has built in floor-to-ceiling cupboards along the length of it, which provides much-needed storage space. 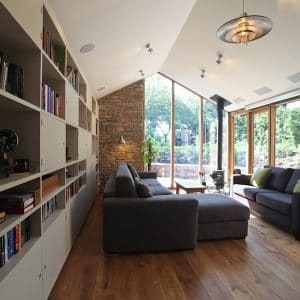 It also has a tall, thin feature window constructed using glass bottles, a particular design idea that Nicky wanted to incorporate.The other wing has large glass doors that open onto the garden, something that both connects the indoors and outdoors but also brings much more light into the home than previously. 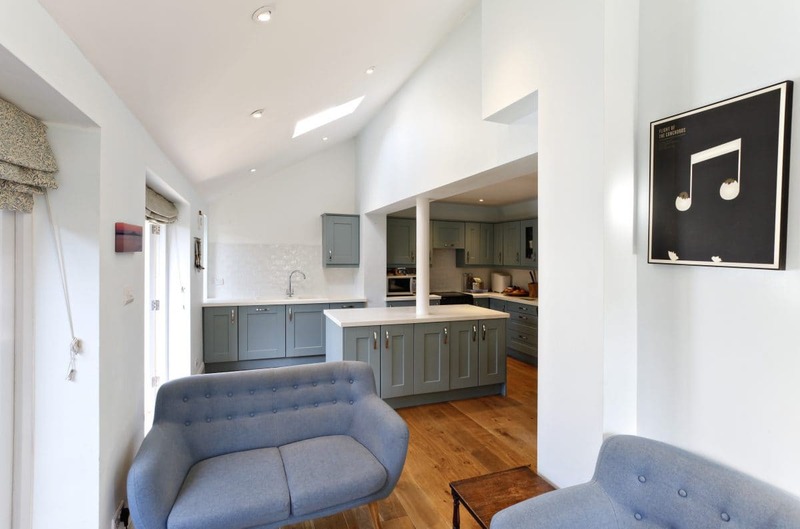 The new space provides family and entertaining space, but the project has retained the old sitting room, which means there is always a quiet space where children or adults can go if they want. 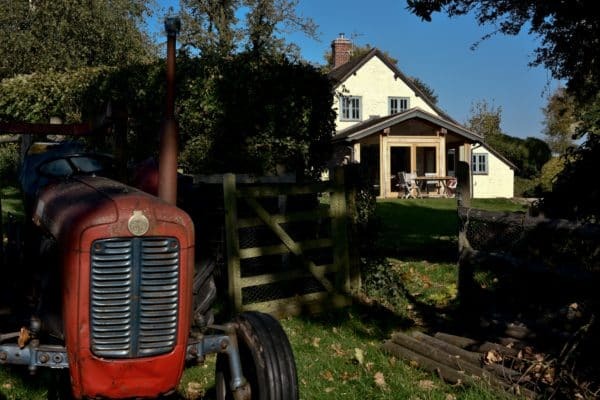 We worked with Nicky and Tim throughout all stages of the project: Stage One, where we gain planning permission, Stage Two, where we look at the design in more detail and agree a price with a building contractor and Stage Three, when the project is built. We’re glad we made the decision to have Communion manage the build process. The issues we did have were very easily resolved. 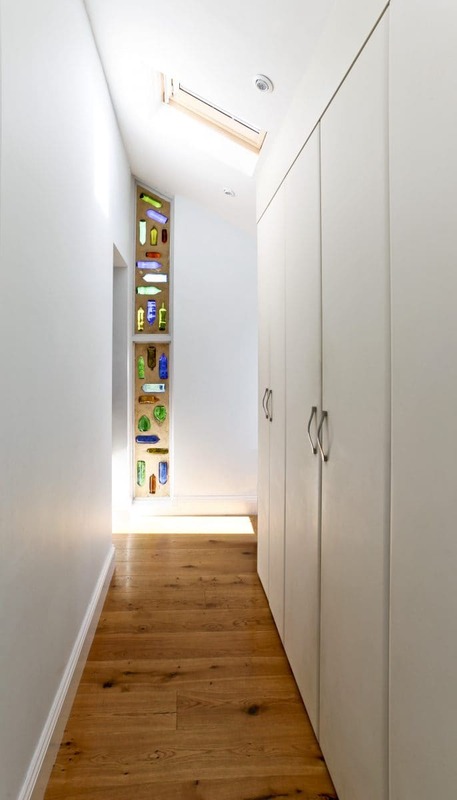 Lucy and Alex were on site regularly to talk to the builders and discuss the project. They had a good relationship with the builders: they knew the business, they knew what was needed and everything was very accurate. There’s just so much space and light now. 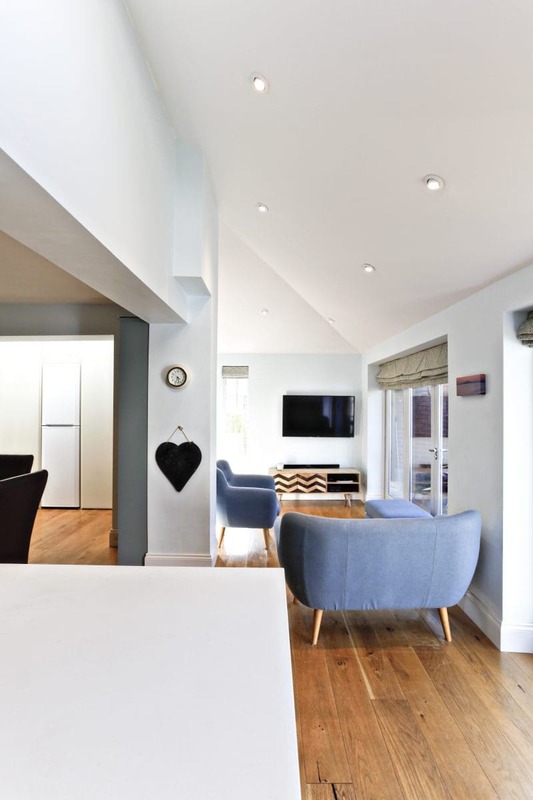 The communal area serves different purposes with a TV area and a kitchen. It means even though someone might be watching TV you can still have conversations together. There’s also still the lounge which we can use as a quiet area. There’s a lot more space to store the kids’ stuff and when they have friends round the space works so much better. We’re living together in a different way. 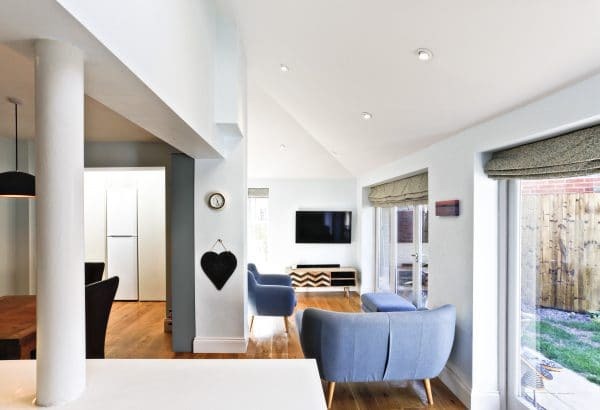 Nicky and Tim are pleased with their new extension and the way it has created communal space where they can enjoy spending time together as a family. 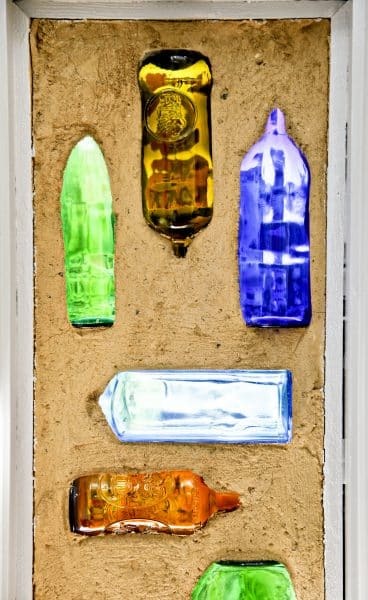 The home and garden are now better connected, which means they can make better use of their outdoor space in the summer months too. It’s changed our lives in terms of how we can entertain people and how we can interact as a family.